The Year Of The Customer Campaign - Partners - Columbia Chamber of Commerce ? It's a New Year, It's a New Day. A Season of Healthy Living and A Season of Professionalism. It's 2019, and I declare it as The Year of The Customer. A year of Growth, Rewards, Good Health, and Acquisition. As we walk into our Year of Destiny with our Nets to catch more Fish, I want to leave you with a personal reminder not to go in the New Year with the same old habits, mindset, or excuses. Believe More, Trust More, Work More, and Give More. 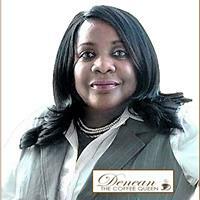 As the Owner and Founder of Denean The Coffee Queen, LLC, I want to personally Thank You for supporting, believing and patronizing our products and services. Now, it's time to scale up, and honestly, I am scared...but guess what I love to do something scared! I've jumped out of a plane at thirty thousand feet, I swam in the Gulf Ocean with Dolphins, I've flew over an ACTIVE combat zone, and finally, I gave my life to Christ...so when someone says do it scared, I laugh in the face of fear and say let's GO GET IT. I want to now assure you that I am creating Products and Services with YOU in mind. The first Big Reveal is that I will relieve my three-year Preferred Customers of ALL their Shipping and Handling Fees. WOW, all shipping and handling fees are FREE for ONE YEAR! I will also be keeping you posted of ALL things Coffee Queen, Health and Fitness, Community and Networking opportunities via the Coffee Break Times newsletter. To my Service Contracted Customers, I will provide FREE Tea to every event...that's right FREE Tea ALL year. And lastly, to my inner circle for Praying, Pushing, Challenging, Checking and Pushing me for Greater! Thank you for every referral of new clients, for this, there will be a 10% Cash Bonus on every referral that purchases, each time they purchase. What does that mean, if they become a Preferred Customer, you will receive MONEY every month from The Coffee Queen's company...another WOW!!! Thank you to everyone who has ever Shared, Liked, or Commented on my Social Media platforms and please continue...I am designing something special for you too. Thank you to all my mentors! Your investment into me will never be forgotten! To everyone that inspires me, thank you! Stay tuned for The Year of The Customer-2019!!! ~Serving A Delicious Healthier Alternative!